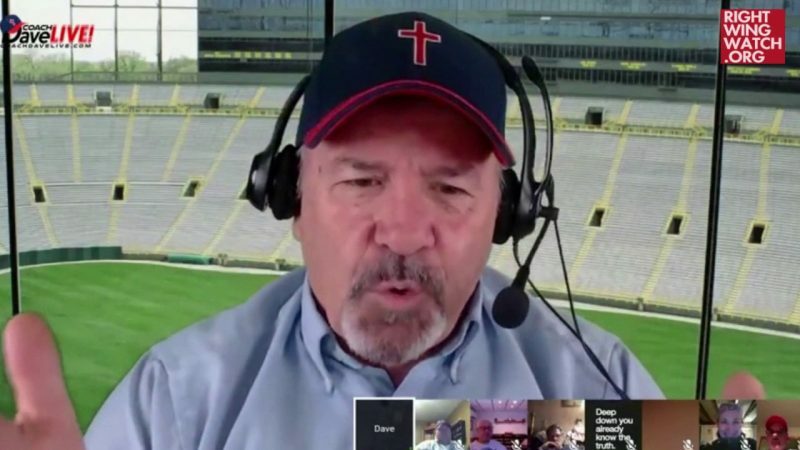 Religious Right activist “Coach” Dave Daubenmire and a few dozen fellow anti-LGBTQ protestors descended on the Pride Parade in Columbus, Ohio, over the weekend to declare “the truth” and preach the Gospel to the participants and spectators. 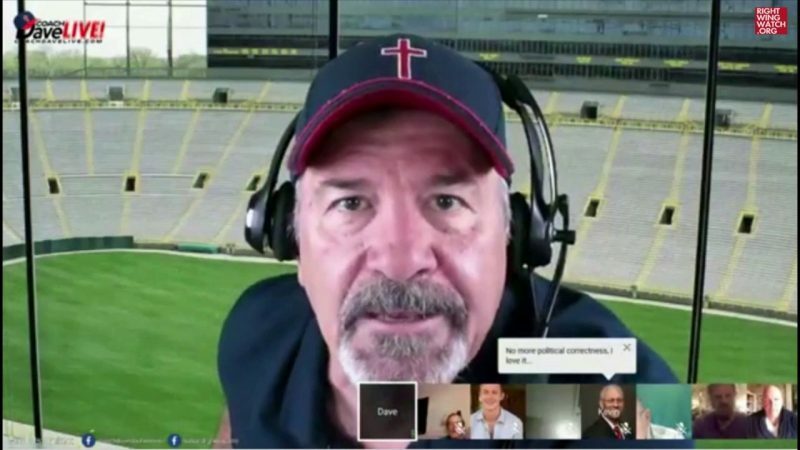 On his “Pass The Salt Live” webcast this morning, Daubenmire spent a good bit of time ripping the “cowards” in the church who were too afraid to join them in “the devil’s den” but are more than willing to criticize their tactics. 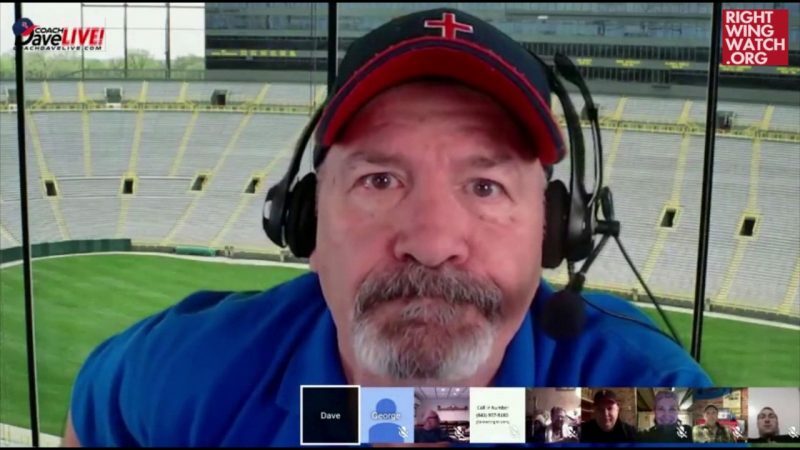 “The enemy is serious as hell,” Daubenmire stated, lamenting that most Christians do not realize that “we’re at war” with the demonic LGBTQ agenda. Daubenmire fumed that when he began using a bullhorn to preach his message, the “reprobates” at the parade began to loudly sing “Jesus Loves Me” in an effort to drown him out.